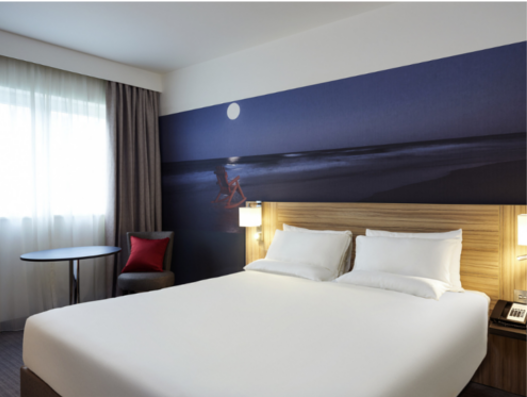 We recently went to visit the newly refurbished Novotel London Stansted. 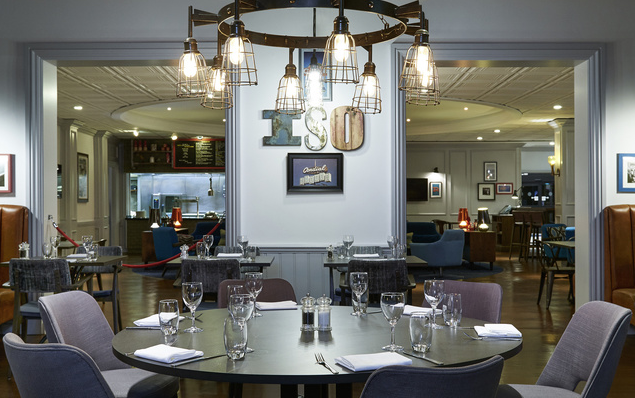 The hotel, formerly the Hilton Stansted, has had a complete refurbishment. Although on the edge of the airport complex the hotel has plenty of parking with over 500 spaces and has a shuttle bus to and from the terminal. Being on the edge of the complex makes the Novotel and ideal meeting place for those flying into the airport and those driving to meet them. The Novotel has a selection of conference rooms. On the ground floor there are three large meeting rooms that interlink in an L-Shape. The largest room takes 250 theatre style. On the 1st floor there are a further 5 meeting rooms that are ideal for boardroom style meetings. The restaurant and bar have been completely refurbished. The restaurant is only open for breakfast and dinner; for midday light bites the hotel bar is perfect. We had a specially prepared menu for our visit; but we all commented on how good the food was, well cooked, well presented and perhaps most importantly it tasted amazing! The Novotel is only a couple of minutes from the M11, 30 minutes from central London by train and 30 minutes by car from Cambridge.